When I arrived at the Sole Hope Guest House, there was no one there apart from the Ugandan staff and a few Ugandan kids who were staying inside the compound. While I waited for Drü or Asher to arrive, I tried to talk to the kids. As one of the kids walked past me, I noticed a hole in his ear, where most people with piercings have an earring. At first, I thought, how sad, he had lost his earring. But something felt odd. I had just been in a car for 3 hours, seeing the poorest living conditions I had ever seen. So, why would he have an earring missing? Early in December 2013, I was in Colorado Springs, Co... While in Colorado Springs, I got to see and hear my buddy Bob Goff speak. (I love that guy, he never fails to be an inspiration). That evening, Bob talked about his role as the Consul for the Republic of Uganda; to fight Child-Sacrificing in Uganda. Yes, Child Sacrifice. Can you believe that people are still doing this? The outrage that I had felt when Bob talked about the killings was suddenly very real. Then Reality Hit Me. Hard. While Drü and I were talking my first afternoon at the SoleHope Guest house, I told him about what Bob had said and asked him what he knew about it. In short, he told me: "While you are here you will see children with one ear that looks like it's pierced. The parents do it it to the kids, to make the child imperfect. An imperfect child won't be taken by a witchdoctor for a sacrifice." It is hard to say how I felt in that moment, but the rage was there again, like the night I heard Bob talk about Child Sacrifice. Then it hit me. The little guy who I had seen my first day in Uganda, he had NOT lost his earring. His parents had done that to him. To protect him. The Waking To My Dream! My nice American dream ended when I realize why that little Ugandan guy had a hole in his ear. Honestly, as I thought about it I was speechless. My breath was gone. I felt a little sick. All the info that I had heard from Bob and Drü now had reality attached to it. It sucked. I LOVED that this little guy would never have his life taken in a dark night, but I hurt for the 24 kids who would die today as a Child Sacrifice. I mean really? There is no way I can just go back to the States in a few days and forget about it. It is real. IT IS HAPPENING. In America, we like to act like we know what is going on all over the world. We like to think we are making the world a better place. Maybe you feel like that too! If so, you are not alone. I hate to wake you from your dream, but did you know in that in 2011, it was estimated 9000 Child Sacrifices happened? 9000! 9000 children were killed. Witch Doctors willingly kill children in Uganda, for 500,000 Ugandan Shillings. Sounds like a lot of money right? Yeah, it is less that $200.00 American. So how much do we really know? Or do we ever really want to know what is going on around the world? I'm starting to think I just don't want to know. I want to feel it. It's really easy to bury my head in all my "stuff" and to be "busy" and to stress about my 401K than to hear this news. So what now? Do I just go on with my American life and forget what I've seen? Do I get busy with work, life, and kids? NO! What will you do? You've read this, so now are you going to go on with your life and just forget? Please don't! 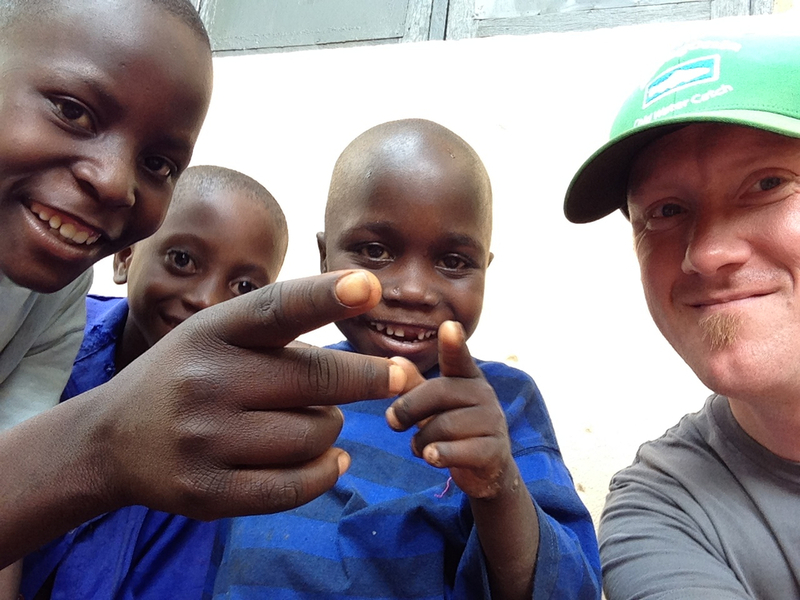 Join me in supporting organizations like Restore International! They are doing amazing work with the people in Uganda, and they are also helping to bring indictments on those who continue to carryout this evil practice. Go to www.restoreinternational.org for more information and show your support and DON'T just forget. Justin, this post just brought tears to my eyes. Because both of us are parents and from North America, this seems unimaginable but it’s true. I can’t imagine the sorrow you must have help. I’ll be doing everything possible to help out and spread the word. What a inspiration your trip is Justin! I have felt that we all live in our own little world in the US. We take sound bites and think that is knowledge. We focus on the easy stuff and deny the hard stuff. And businesses and government like that because it keeps us passive. We average about 14k-16k murders per year in the US. So since 9/11 when 3,000 died from a terrorist attack So 180,000 murders. Yet all you hear about is NSA, Terrorism Worries etc. Yet we committed a genocide here on our own people and no one marches in the street or cares. And ironically in the private jail system this is making a lot of people money. It means jobs for cops, lawyers, judges, prison workers, news reporters/media, mortuaries. I think death has always been its own cottage industry and for some reason we like to ignore these things. And it is sad! WOW! Amazing blog, journey and message Justin. I am totally taken aback, can’t say that I’m completely surprised, but the reality of this is nauseating. I’m taking a look at Restore International now! Thank you for laying the ground work in love and bringing this to our attention/ spreading the word. This has chilled me to my core. I had no idea that this even happened. So easy to sit back from the comfort of our own homes, with the kids asleep, and say this is wrong but something has to be done about this. Thank you for sharing this, I hope the world reads this and realises that we, in our comfy homes, are the minority and that the unspeakable occurs daily.